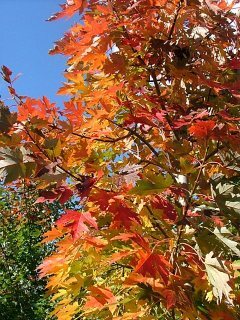 This newer 'cousin' to the popular Autumn Blaze maple is a vigorous growing tree with strong branching that is a hybrid of both native Silver and Red Maples. It offers a pyramidal form, rapid growth, drought tolerance, good orange to red fall colour, the ability to grow on most soils and is virtually seedless. It grows 45 to 50 ft tall by approximately 20 to 25 feet wide. This very new Amur Maple offers multi-seasonal interest. A dense canopy of fresh green leaves are set off by intensely red whirly-gigs seed clusters in late June that make it look like it is flowering red - like Dorothy's red slippers from the Wizard of Oz. The fall is marked with outstanding hues of red and orange. It is a useful small tree for stressful urban conditions, is drought tolerant, and can also be heavily pruned if desired. It will grow to 15-20 feet tall and wide. With a tall narrow profile, this selection of Black Maple is ideal when you require a large shade tree that isn’t too wide. 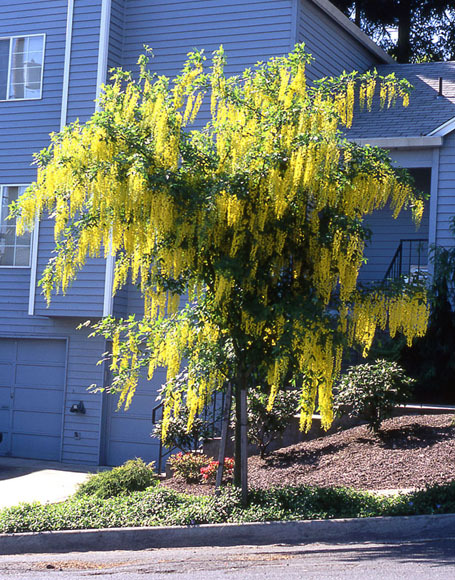 It grows at a moderate rate to 50’ tall by 20’ wide with green leaves through the spring and summer that turns a bright yellow with hints of orange in the fall. 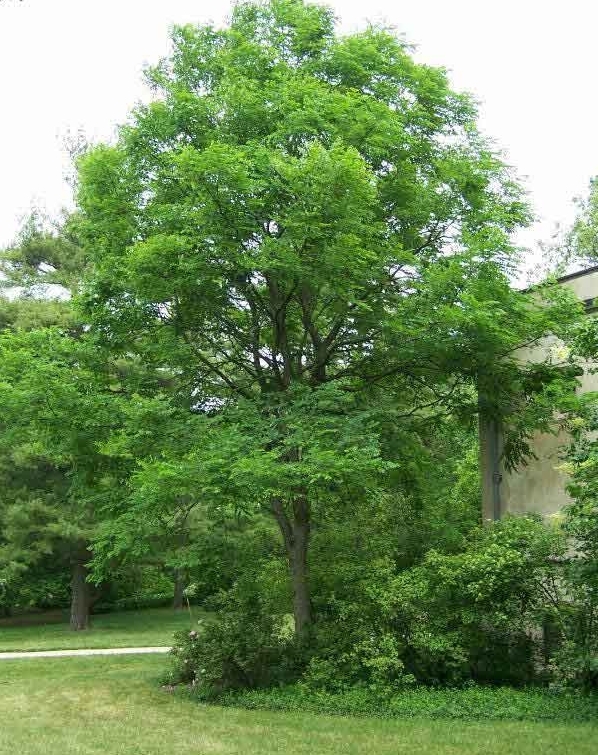 It is a tree that is similar to Sugar Maple but that tougher and better adapted to hot dry conditions, and will tolerate shady conditions too. ** Available by special order. 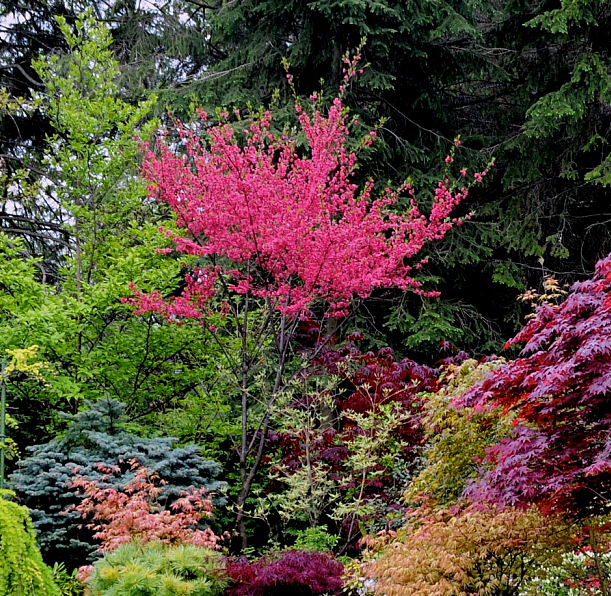 An attractive tree for formal gardens or small lots. Its globe-shaped, densely branched habit is obtained without trimming. Large deep green leaves turn medium yellow in the fall. Head could grow to 15 ft in diameter at 1 ft. per year in sun. (Ltd. Availability - Special order only). Developed in North Dakota, this is one of the hardiest cultivars of Japanese White Birch available as well as being the most resistant to birch leaf miner! 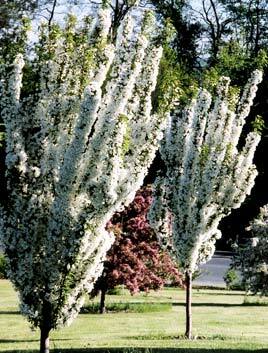 Growing in a very columnar, dense habit to 25 ft. tall by only 10 ft. wide, its non-peeling bright white bark and beautiful golden fall foliage makes it a popular selection. Plant in full sun and well drained soil. Elegantly weeping, this variety blooms profusely in early spring with bunches of tiny, hot pink, rose-purple, pea-like blooms on all branches and trunk. These flowers turn to pods, but with smaller amounts of pods than as per Eastern Redbud. The leaves emerge like a tumbling waterfall of rich ruby-purple, turns to deep summer green, then bright yellow in the fall. 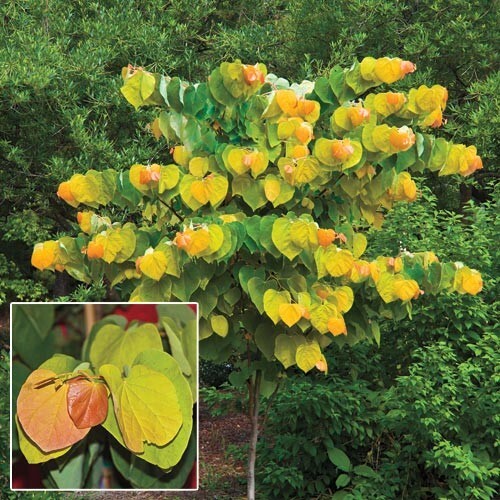 Perfect for small lightly shaded gardens and under-story woodland plantings, it grows to 6 ft. tall and 4 ft. wide. As with all redbuds in Waterloo Region, this one should be carefully sited with protection from prevailing northwest winter winds. Minimal pruning is needed! Totally breathtaking, our newest Redbud bears rosy-purple flowers in the spring on branches and trunk, followed by the most stunning display of golden, orange and peach coloured foliage before finally maturing to shades of green. Growing 12-14 ft. tall and wide in part sun, the orange fall colour is almost an afterthought in a year of incredible beauty! This European native is a beautiful tree year the entire year through! It can grow 50-60 ft. tall with a spread of 40 ft. in a dense, mushroom-shaped habit. In the spring, shimmering green leaves emerge, gradually turn dark green in summer before turning to a lustrous, rich russet brown and golden bronze in fall. 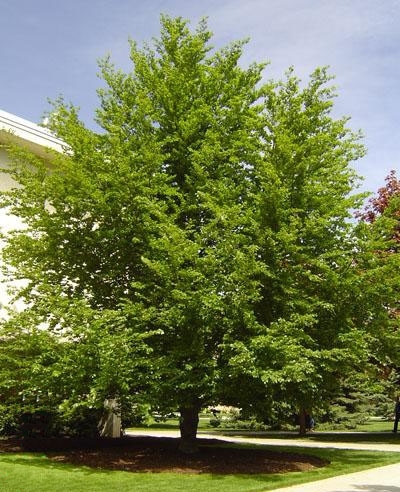 It grows best in moist, well-drained soil in a sunny location, and is easier to transplant than it's cousin, American Beech. 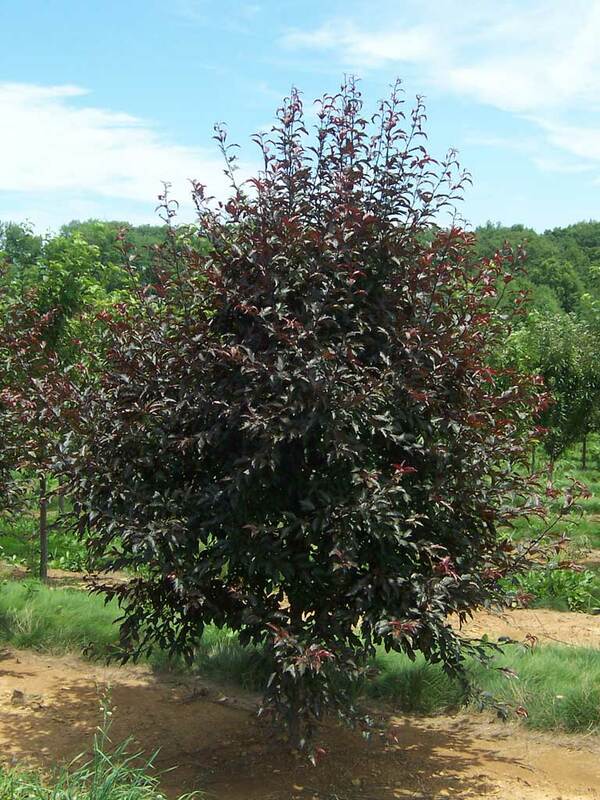 For 2013 Grobe's has a limited number of this native and hard to find tree. A tough and fast growing species, it gets its name from the long pods containing dark hard coated seeds of that colour that it bears. As both a male and female tree are required for this, it is unlikely that the tree will bear the pods. 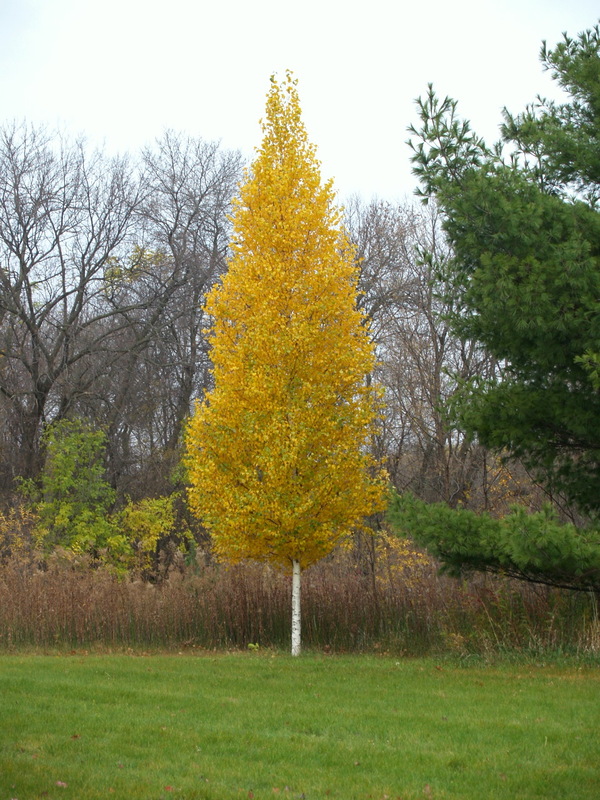 The form is large (60' tall by 40' wide) and open branching, and the green leaves are enormous and turn yellow in the fall. It is adaptable to many soil types, but grow best in rich moist soils in full sun. Spectacular and beautiful chains of 2 foot long bright yellow blossoms showcase this vase shaped tree in early spring. Rare to this area, this tree must be planted in a protected location where it might also receive some shade from mid-day sun. Growing to 20 feet, the olive green leaves and bark are a notable feature. ** Available by special order only. Spring would not be complete without the glorious display of Magnolia blossoms! This new charmer bears large, cup-shaped scented purplish red blooms with white interior petals and a red throat. Slow growing to 12 ft. tall and wide, it does best in full sun and is tolerant of clay soil. Locate where sheltered from north winter winds to protect spring buds. ** Available by special order. 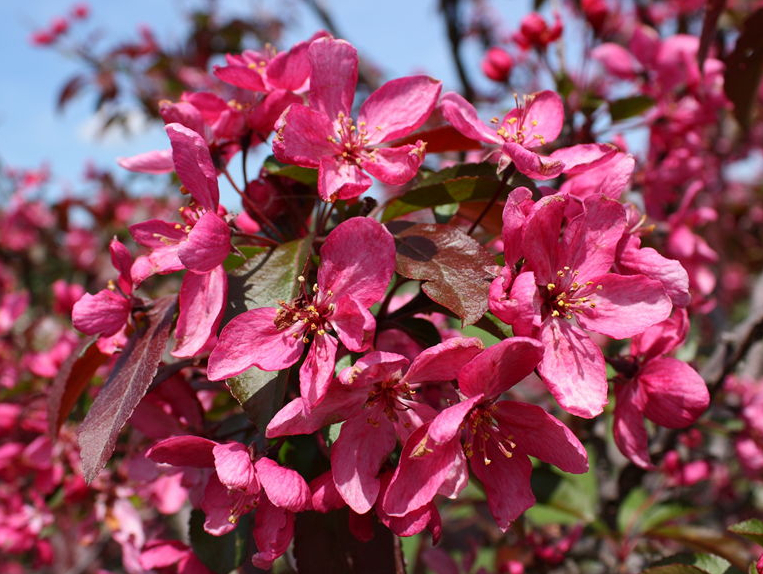 Adirondack is an important crabapple variety because of its unique form, incredible disease resistance and outstanding white flower display. 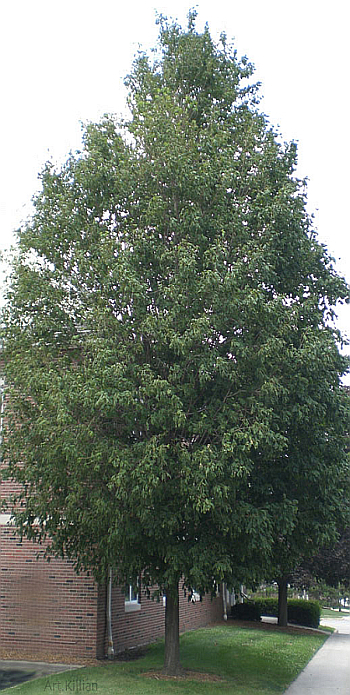 It is a compact, dense tree with strongly upright form that will grow to 18' tall by 10' wide. It produces one of the heaviest flower displays of all crabs, with small showy bright red fruit in the fall. It is suitable for all soil types. 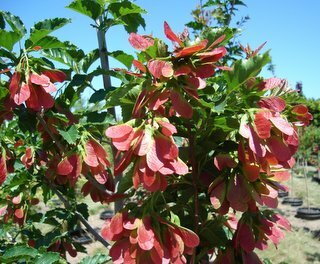 Dark crimson flower buds burst into bloom with single bright red-pink flowers on this upright columnar tree. 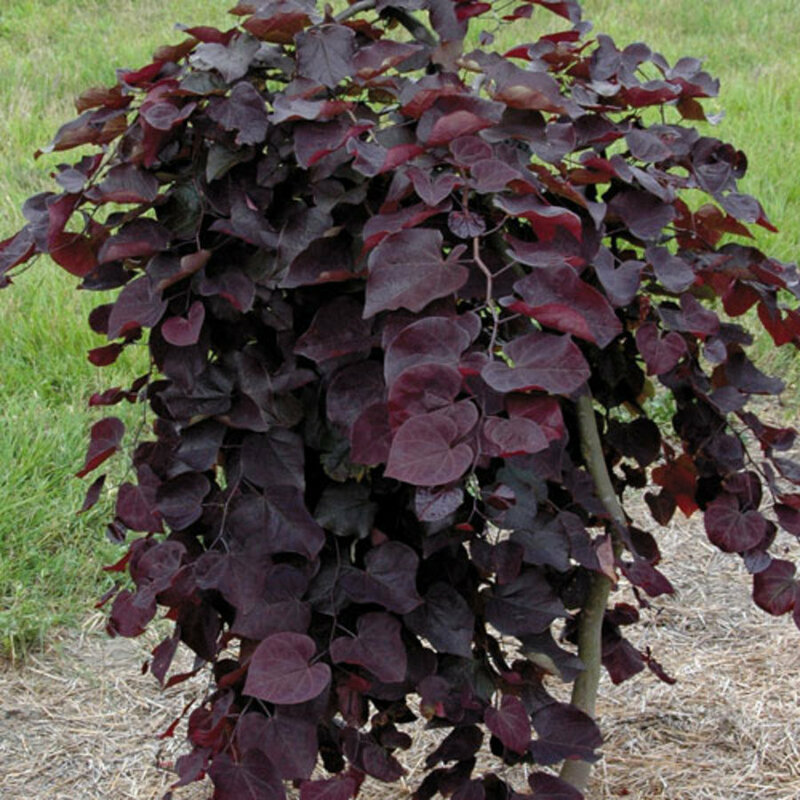 Maroon coloured leaves follow, turning bronze green by summer, with the bonus of medium sized dark red-maroon fruit in the autumn. Growing only 13-15 ft. tall in full sun, it is a charming lawn specimen! ** Available by special order. 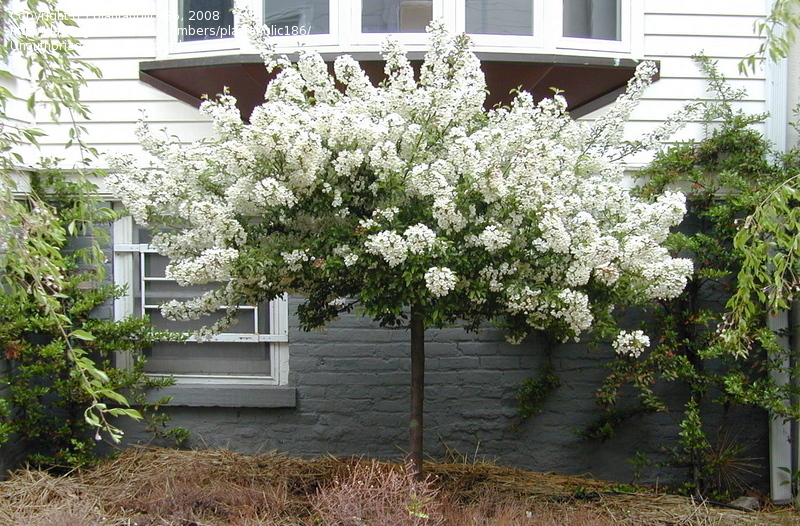 Sargent's Crabapple is an attractive and highly disease resistant compact landscape tree with abundant clusters of fragrant white flowers in the spring. The pink buds open into pure white blossoms followed by 1/3"-1/2 " berry-like fruits that turn bright red in early fall and persist on the tree into winter offering food for birds. Low zigzag, horizontal branching forms a dense spreading crown that exceeds the height with maturity. Sargent crab prefers a sunny location with moist, well drained soil but will grow on sites with heavier and drier soils. It grows 6 to 10 feet high by roughly the same width. Eye-popping magenta pink blooms, deep purple cutleaf foliage all season, sparkling red fruits and bright fall color give all-season appeal to this easy-care flowering ornamental tree. It also offers superior disease resistance, adaptability, plus heat and drought tolerance. The fall color is a medley of bronze, orange and purple. The tiny, persistent, bright red fruits appear in late summer, are prized by wildlife and add winter interest. It will grow 20' tall by 15' wide on most soils and is very hardy. An avid Canadian plantswoman, Thornhill native and Ontario Master Gardener Marion Jarvie came by this unusual non-fruiting ornamental peach with vibrant double deep pink flowers in early spring in a most circuitous manner, and was good enough to share it with the rest of us! 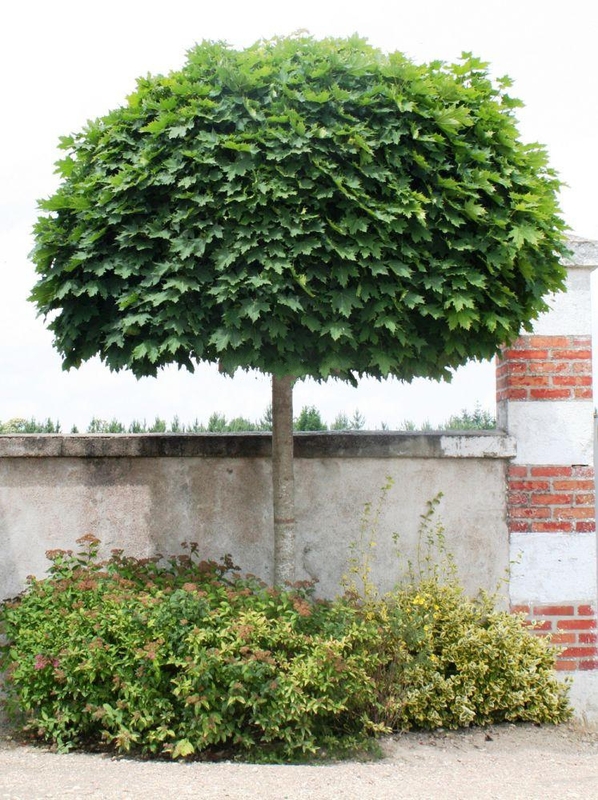 Propagated and grown in Ontario for a mere 3-4 years, it is readily trimmed into a compact shape and is available as a grafted treeform (rather than the small clump shown here) - it could be an excellent alternative to Flowering Almond! It grows best in full sun to light shade in moist well-drained soil and benefits from summer mulching. (Special order only). Graceful weeping branches are the identifying trademark of this very large tree. Golden yellow bark and light green leaves add to its old fashioned charm and give it its name. 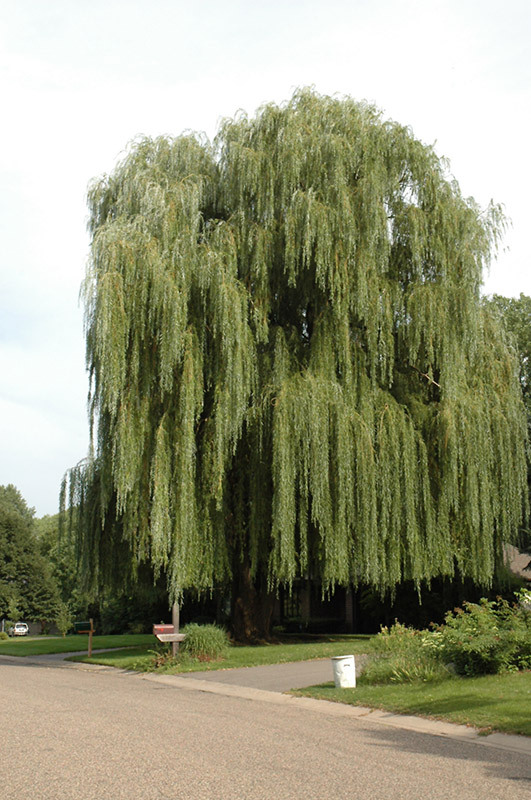 Growing 3 - 4 feet per year to 50 feet tall or more in full sun, it is ideal for moist conditions. The root system is very vigorous and this tree is not recommended for other than rural locations. 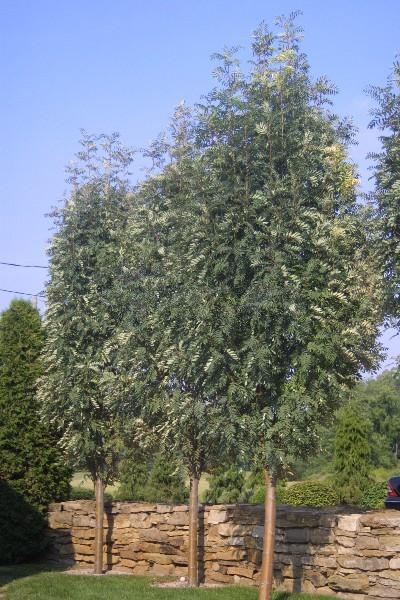 This very disease resistant Mountain Ash has an upright pyramidal form and is suitable for smaller areas. Showy ivory flowers in late spring develop into showy red berries that persist late into the season and that will attract birds. Grows to 30 feet tall by 10 feet wide and prefers well drained soils. This hardy new introduction has many of the desireable characteristics of it's cousin, the Ivory Silk Tree Lilac, but with a much narrower canopy. 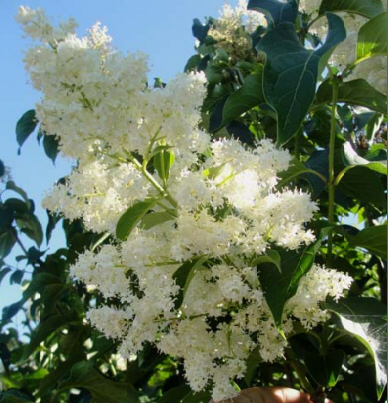 Dark green leaves are offset with large clusters of fragrant white blossoms in late June to early July. It grows slowly to 20' tall by 12' wide in full sun, and prefers well-drained soils.